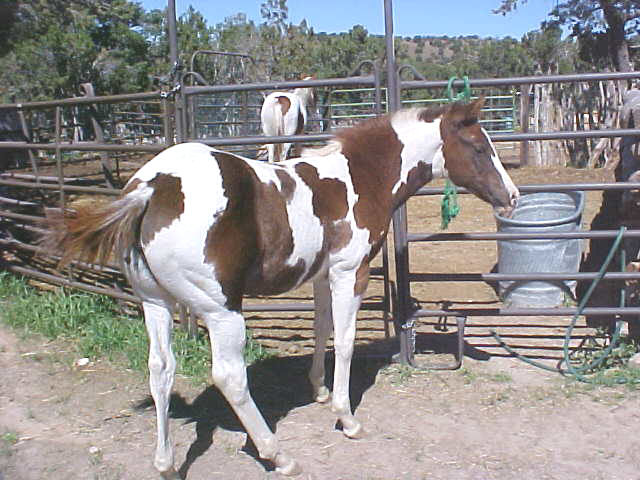 This awesome filly also carries the blood of both our stallions though she is a Pinto, not a Paint. She is wide and deep and very well muscled. She will be big! And she has that great attitude we love from Kelly. You can do anything you want with her other than show her in an APHA show. 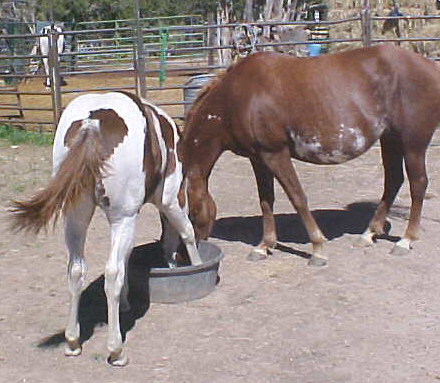 Three out of four of her grand parents are APHA. It is that one which keeps her out of hte registry. 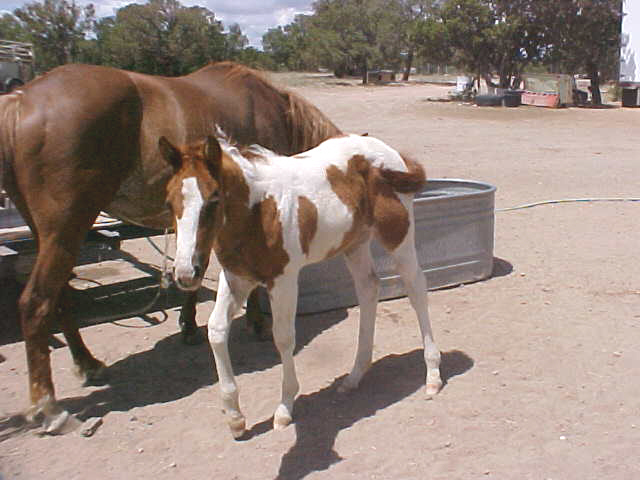 She is one of the very best foals this year! This filly is really awesome! Great big build and lots of muscling! She is nearly taller than her dam just before weaning. Has a nice temperment. Should be able to jerk steers or chase cans with grace. 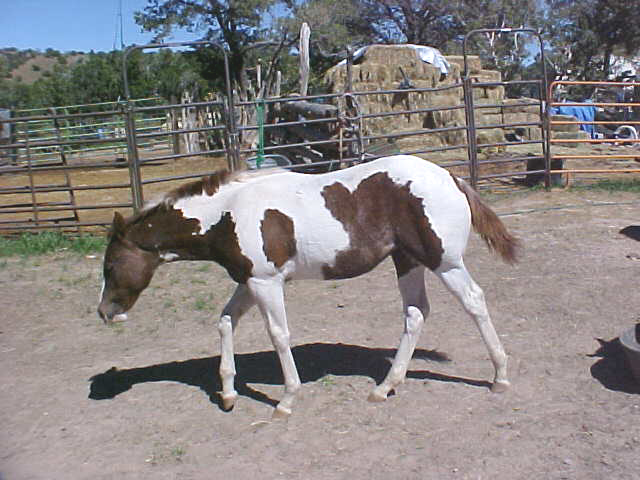 This will be a working filly and will have you some really great foals when you are done riding her. Photos taken early October, 2005.